Just three months after opening on Broadway, “Allegiance” — which tackles Japanese American incarceration with a story inspired by the childhood of actor George Takei — announced it will end its Broadway run with its final performance on February 14, 2016. Late last year, I reviewed “Allegiance” and found it “poignant and timely”. 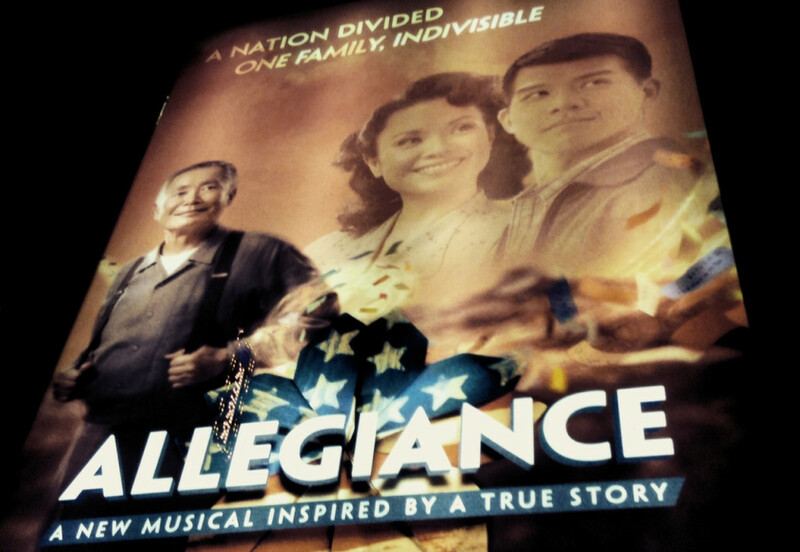 George Takei will be performing in the upcoming musical, “Allegiance”, which tells about life in an internment camp. A little more than two years ago, George Takei headlined the original musical “Allegiance” which appeared in San Diego’s Old Globe theatre for a week in September of 2012. “Allegiance” tells the story of a Japanese American family and the love and loss they face during internment and imprisonment in World War II American concentration camps, and is based on stories from Takei’s childhood. Now, “Allegiance” is announcing that in the wake of its sold-out performances in 2012 in San Diego, the muscial is returning… and this time to Broadway! “Allegiance” will be opening November 8, 2015 on the stage of the Shubert Theatre, with preview performances to start October 6. I am particularly excited by this news given the current state of Asian Americans in musicals. The “Allegiance” website notes that with its Broadway opening, “Allegiance” will become the first musical with a predominantly Asian American lead cast to play on Broadway since Oscar and Hammerstein’s Flower Drum Song, which was revived for Broadway by noted Asian American playwright David Henry Hwang in 2002. More recently, Broadway has hosted a production of David Henry Hwang’s play “Chinglish”, which also featured a mostly Asian American-led cast.